Burlington’s No Fly Zone® Insect Repellent Technology continues to lead in the fight against biting insects like mosquitoes and ticks. 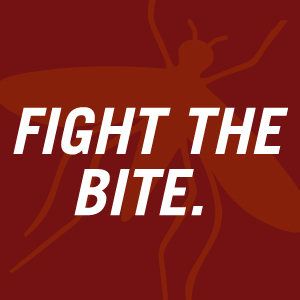 No Fly Zone is a permethrin-based technology that may help prevent the spread of insect borne diseases by repelling insects through apparel, uniforms or gear. This technology is similar to the natural insect repellent found in certain chrysanthemum plants and works as a contact repellent affecting the insect's nervous system causing it to fly away before a bite can occur. No Fly Zone technology has proven to provide a safe, effective barrier against up to six different insects including mosquitoes, ticks, chiggers, flies, ants and midges. The technology can be applied to polyester, nylon, cotton, wool and aramids and is durable for up to 70 home launderings. Burlington No Fly Zone technology is available for distribution in the United States, Europe, China and Australia and can be found on many types of woven and knit apparel, socks, uniforms, outdoor gear and military-applications.